I love oatmeal. If I had time every morning, that's what I'd eat. Every morning. And then mix up my toppings. That's my favorite part. You should try it. It's really good for you. So is adding different toppings. 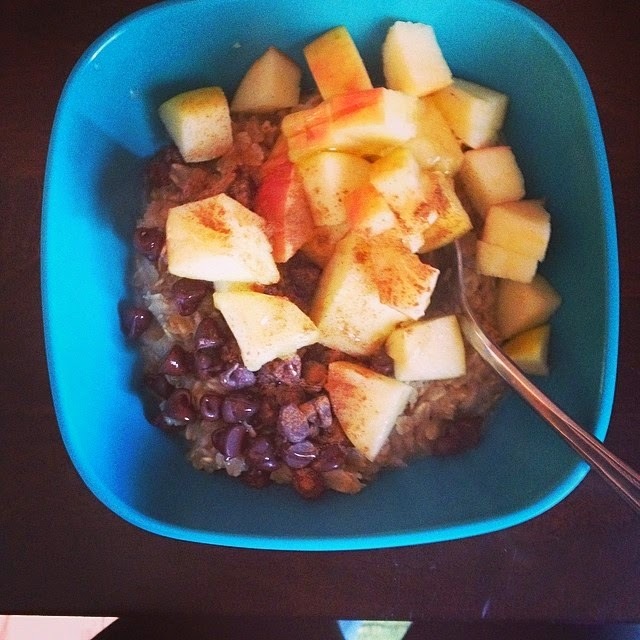 Oatmeal: with chocolate chips, apples, honey and cinnamon. -any toppings you like ( always at least try some kind of fruit in the mix. It adds more sustenance, is filling and is healthy ). -Bring water to a boil, add oats. Cook and stir for about 5 minutes. In my diet plan I have been using all the ingredients that you are having in one bowl to eat. I am really interested toad new things in my diet plan that you are having in this post.